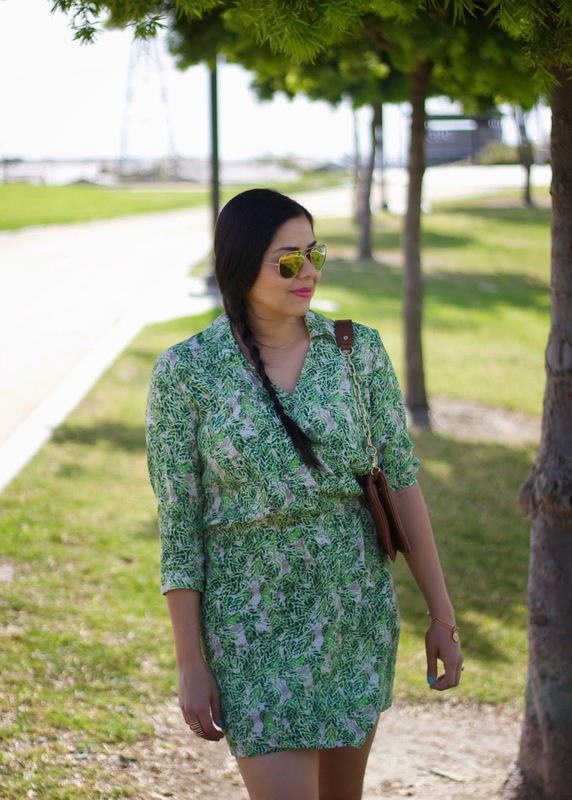 My definition of St. Patrick's Day attire in San Diego is this green leaf print dress to withstand this rare heatwave in what is technically Winter. Over the weekend it went up to the high 80's giving SoCal peeps a glimpse of Summer, and for me it gave me an opportunity to dress like it was Summer. 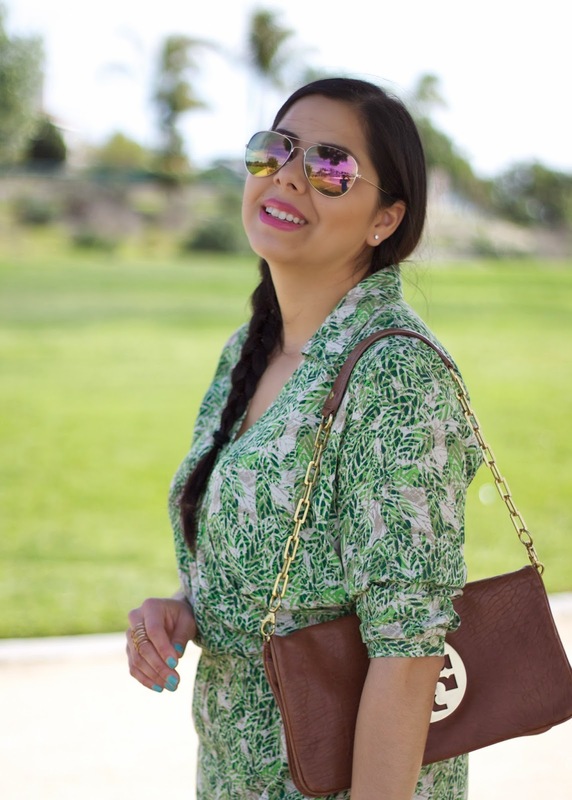 Out came this beautiful shirt-dress from CAbi's Spring collection that aside having a gorgeous greenery print comes in a lightweight material that is so comfortable, it will def be in my next vacay suitcase. This reminds me of summer! I love the dress & shoes especially! This weather is perfect! For a moment your dress looked like DVF's wrap dress! I love it! I love everything about this outfit, right down to the hair! Gorgeous Paulina! Love the dress. It looks so comfortable. Perfect for the upcoming hot summer months.